Laval, July 5, 2018—Eurochestries Festival in China will present Canadian composer and conductor Louis Babin’s work entitled Saint-Exupery: of Heart, Sand, and Stars during its closing concert on August 13, 2018. Babin will conduct his work in the midst of this renowned festival taking place from August 2 to 13 in Qingdao, a Chinese city with a population of 9 million. This work was originally commissioned by the International Federation of the Eurochestries in 2012 for the Eurochestries Festival Charente-Maritime. 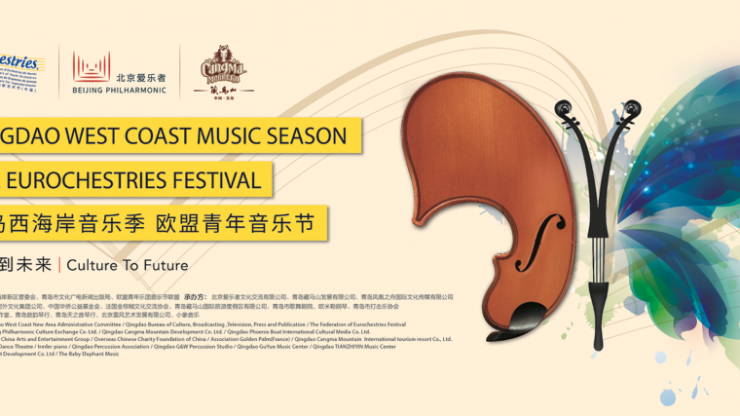 For the second edition of Eurochestries Festival in China, Louis Babin will conduct an international youth orchestra made up of young musicians from Chinese, Spanish, Estonian, French, and New Zealander symphonic orchestras. As with similar festivals held this summer in Europe and America, Eurochestries Festival of Qingdao will prove to be an exceptional opportunity for musical and cultural exchange between these young people. The Beijing Philharmonic Cultural Exchange Company hosts the event. “The interpretation of the young musicians during the Eurochestries Festival in China speaks to the humanity and open-mindedness that defines Antoine de Saint-Exupery’s writing, which my work also highlights,” says Louis Babin. The Eurochestries were created in 1989 in France to promote orchestral practice of the youth from ages 15 to 25, through international exchange. The Festivals offer to each orchestra the opportunity to promote composers of their country and their own repertoire to a wide audience. Numerous concerts allow these young musicians to showcase their orchestra and their country. The experience also gives the participants a chance to discover the cultural heritage of the host region. For the past 29 years, the festivals have built upon the original French model and now take place in many countries and continents (Brazil, Canada, Slovakia, Spain, Poland, and China for the 2nd year). Since 2007, they are coordinated by the International Federation of the Eurochestries and its president Claude Révolte. Louis Babin’s work has been acclaimed in Canada and abroad. His 2015 album features his symphonic piece Saint-Exupéry: de cœur, de sable et d’étoiles (Saint-Exupéry: of Heart, Sand, and Stars), an hommage to Antoine de Saint-Exupéry, the release of which was supported by the Antoine de Saint-Exupéry Youth Foundation. The album received outstanding reviews. Many music ensembles and performers from Canada, the United States, and Europe have commissioned or performed Louis Babin’s works. He is known for his modern, playful, accessible, and cinematographic works. He received a special mention from the World Music Competition IBLA Grand Prize (Italy) and was a finalist in the Canadian Music Centre Composer Competition—Quebecor.